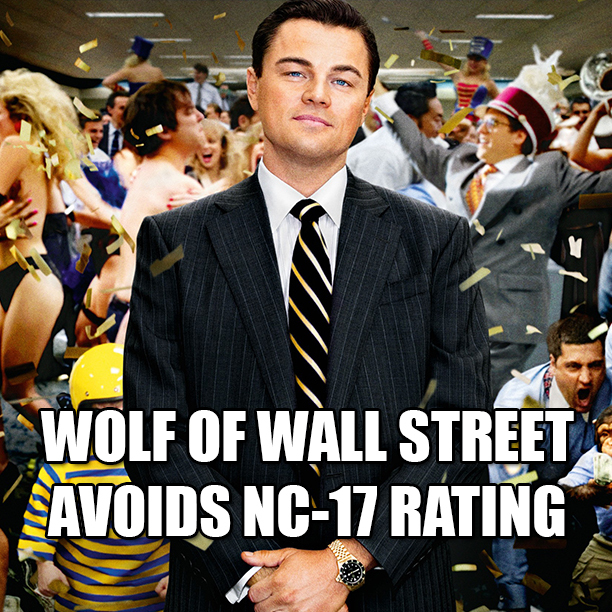 It has just been reported that, Martin Scorsese new film “Wolf of Wall Street” had to be re-edited to avoid the dreaded NC-17 rating from US censors, can you imagine what they had to cut out? The movie is about the story of a disgraced stockbroker (played by Leonardo DiCaprio), who scammed millions of dollars from investors on Wall Street in the 1980’s. The movie has a running time of two hours and 59 minutes, making it Scorsese’s longest film yet. Wolf of Wall Street will be released on Christmas Day. Who’s going to watch this movie?